io is a great 4G network provider Telecom company. 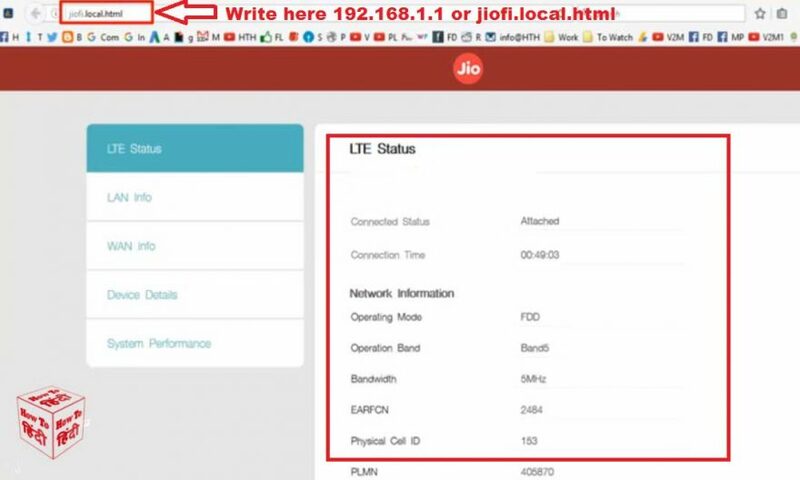 Many people use jio in India. And many people use jio’s 4G router jiofi. Do you know how to change jiofi password If not, so in this article, I will tell you how to change the jiofi password. I have shared full information about changing jiofi password below. jiofi is one of the best 4g routers in India. millions of people use this router to use high-speed internet on their mobile computer. I also use this router to use high-speed internet on my computer. If you are a jiofi router user So this article is for you. In this article, you will know how can you change your WiFi router’s password and SSID name. Below I’ve shared full information about changing the password of jiof. Follow all the steps given below You can change your WiFi password with the help of these steps. NOW, click on setting then wi-fi. and now on this page, you can change password and SSID name and you can also see your jiofi current password in security key. enter your new password and ssid in security key. after entering the password. click on apply. now your jiofi password has changed. after changed password, your device disconnected from jiofi. you can connect again with entering your new password. Its Default Password and Username is administrator. But if you want to change the default password and username then I have shared full information below. first open jiofi.local.html dashboard. in your jiofi connected device. In the jiofi Dashboard, click on Settings then user-management. now on this page, you can change jiofi login password and username. Just enter a new username and enter the old password and new password. and click on apply. I hope now you have full information about changing jiofi password and username. If you have any problem in changing jiofi’s password, then please comment below and tell us. We will be very happy to help you. And if this article is useful to you, then don’t forget to share it with your friends.